LumaRx permanently reduces unwanted hair for smooth, beautiful skin. Using the same IPL technology you'll find at your dermatologist's office, LumaRx quickly and effectively reduces both body and facial hair. LumaRx's technology works deep beneath the skin's surface to target hair where it starts. After just three treatments, LumaRx is clinically proven to provide up to 94% hair reduction. 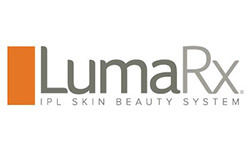 Each LumaRx device is easy to use, gentle on skin and FDA-cleared for use on the body and female face. This was easy to use and works better than other electric razors. I'm happy with this purchase.